Please help us save the traditionally-bred Irish Sport Horse. The Irish Draught Horse (ID) has been bred for centuries to run, jump, and go across the countryside. They are hardy enough to go all day through the toughest foxhunting country in the world, and gentle enough for a child to ride. They are valued for their jumping ability, soundness, and versatility. The Thoroughbred (TB) is known for its speed, endurance, athleticism and heart. The Irish Sport Horse (ISH) is a cross between Irish Draughts and Thoroughbreds, embodying the best of both breeds. Those that are half TB and half ID tend to be quiet all-rounders suitable for the amateur to foxhunt and Event at the lower and mid levels. The ISH that is 3/4 to 7/8 TB is generally a good prospect for the highest levels of Eventing and Show Jumping. They tend to be excellent jumpers and lovely loose movers, with plenty of gallop and stamina. They are sought after by top Event Riders around the world. I recently spent a week in Ireland shopping for young event prospects, and was shocked to find that the traditionally-bred Irish Sport Horse is seriously endangered. Due to the infusion of European warmbloods into the breeding programs, the ISH breed is being diluted as more of the ID and ISH mares are being crossed with warmbloods rather than TBs; therefore fewer and fewer of the true traditional Irish Sport Horses are being produced. We are on the verge of losing these valued bloodlines forever. It appears that many breeders and sales yards are choosing short-term economic gains over heritage, which is very disheartening. Irish horses take a bit longer to develop than most other breeds, and it seems that many buyers don’t understand this. 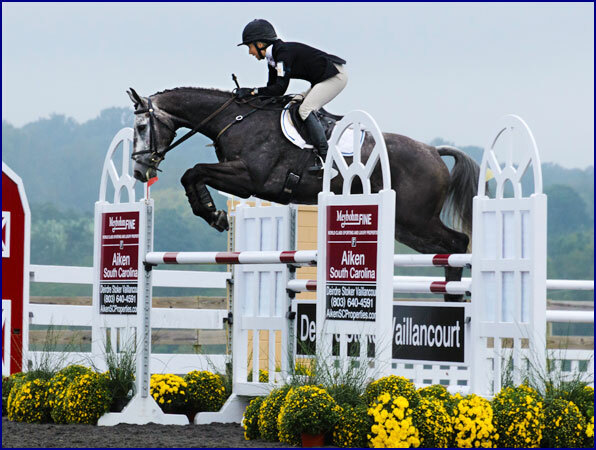 They are attracted to the flashy movement and jump that many warmbloods show as 2 and 3 year olds, and are choosing these crosses rather than waiting for the Irish Sport Horses to mature and show their talent. As a result, the Irish breeders, instead of sending their good ID and ID/TB mares to quality thoroughbred stallions as in the past, are responding to the market by crossing their mares with continental warmblood stallions (or ‘foreign horses’ as the Irish call them), hoping for quicker sales of their youngstock. These Irish Draught/Warmblood crosses may show more toe-flicking flash as youngsters, but they often lack the gallop, stamina and heart needed for the highest levels of Eventing. The characteristics that give the warmblood that big trot with the long stride and slow tempo do not necessarily help him on the cross-country course or in the hunt field. If the sires are approved by the Irish studbook, one can breed a warmblood mare to a warmblood stallion, and as long as the foal is born in Ireland it can be fully registered as an Irish Sport Horse and receive a green registration book. The average buyer, seeing the horse is registered, doesn’t know they are not truly getting an Irish Sport Horse! This might be fine for those producing Show Jumpers and Dressage horses, but for us Eventers it is a very negative trend. As fewer and fewer of the Traditional Irish Sport Horses are bred, the old excellent bloodlines are going by the wayside, and once they are gone, they are gone forever. I am not knocking the warmblood breeds; they are wonderful horses. They excel in the Dressage and Jumper worlds, and there are many who are successful in the Eventing world as well. Nor am I trying to discourage the breeding of warmbloods in Ireland, but they should be registered with their own breed registries rather than as Irish Sport Horses. I do not go to Ireland to buy warmbloods; I go there to buy traditionally-bred Irish Sport Horses. I am terribly afraid that within five years these will be scarce indeed, and perhaps nonexistent in ten; this will be a tragic loss to Ireland and horsemen everywhere. The traditionally-bred Irish Sport Horse, those with ID bloodlines combined with at least three-quarters TB blood, excels in the Eventing world - but they are getting harder and harder to find. On my recent shopping trip, I went to 17 different yards, spread out all over southern and central Ireland. I looked at a total of 67 horses for sale, and of those only 12 of them were traditionally Irish-bred, with only ID and TB blood. The rest were warmblood crosses. This trend has been going on for a while, but I was dismayed to see how much it had increased in the four years since I had last been to Ireland. Only 18.5% of the horses we were shown were truly ‘Irish,’ and that was going to yards of breeders and trainers who had primarily shown traditional Irish horses in the past. I feel it is short-sighted for the Irish Horse Board to allow the ISH registry to become diluted with other breeds and to risk losing the old authentic bloodlines. People from all over the world come to Ireland to shop for Irish Sport Horses because they have distinctive qualities and characteristics that no other breed shares. If the ISH becomes an amalgamation of continental warmbloods and loses the characteristics that make the breed unique, Ireland will cease being a leading world marketplace for horses - buyers looking strictly for warmbloods will be more likely to go to countries like Germany, France and Holland. So let’s save the Irish Horse! What can we do? Buyers - if you are buying an ISH check on his breeding. Talk to his breeder or look at his registration book and find out who his ancestors are. Make sure his bloodlines are compatible with what you want in a horse. Be aware that a horse can be partially or all warmblood and still registered as an ISH, and be sure to find out what percentage of ID and TB blood the horse you are considering buying has. If there is demand for more traditionally bred Irish Sport Horses then the breeders will produce them. 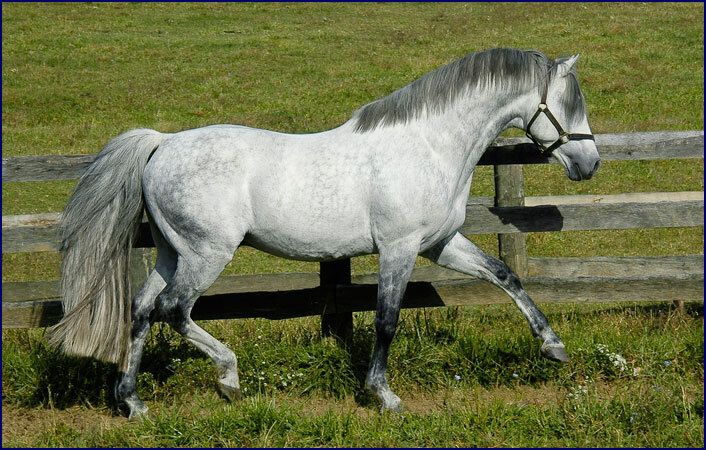 When searching for horses, let the breeders and dealers know that you are interested in the classic bloodlines and the traditional Irish horse. Riders and Trainers – recognize that the ISH matures slowly and give them the time to develop properly. Train them carefully and correctly, don’t take shortcuts, and give them every chance to reach their top potential. Irish Horse Board and Irish Draught Horse Society – consider a separate registry for the warmbloods and warmblood crosses, rather than letting them be registered as Irish Sport Horses. Create financial incentives for breeders to produce traditionally-bred Irish horses. Breeders - preserve those bloodlines! Keep producing those traditional Irish Sport Horses with a combination of ID and TB blood. Breeding often does not offer much in the way of financial gain, but then that’s not what you got into it for in the first place, is it? The satisfaction of producing a quality horse is its own reward, and knowing you are helping to protect the breed will make it all the more worthwhile. Let’s be sure that we have traditional Irish horses to ride and enjoy for the future.